I live in italy and I can say we are approching the time for rebellion against a state voracious for our money but non existant when you need its help…above all Italy is literally infested by bureocrats and othe “law givers” who regularly take the “obedience” to insane, bureocratic legislation as a religious mission and will attack anyone who dissents….I hope Trump will help in getting rid of the whole lot ! My only add would be for you to put the five levels of statist hell in a toilet bowl. Socialism and its parent, progressivism, are not based on lies. At least not initially. …believe that they can turn into altruists who will work from 8am to 12pm for themselves and their families and then from 12pm to 5pm for the “community” of distant unknowns. Day in day out for the rest of their lives — And that they can somehow either convince or coerce the the rest of their countrymen and women to do the same…. Most importantly, with enough enthusiasm for the country to retain enough motivation and outcompete the rest of the world,….,so that the American middle class can remain in the world’s top three percent! That is the dream of progressive delusion. Worst of all perhaps, is the fact that once you start down your road into statist hell full of hope, the march becomes irreversible. You become doomed to descend into the ever lower rungs of your dream turned nightmare. Initially the slide is modest, ill effects are explained away by faulty narratives — not people’s inherent reluctance to becoming socialist bees. But as the decline progresses, the slope also steepens and descent from one ring of hell to the other becomes even faster. The biggest American delusion is :”The progressive road to socialism is reversible. If it does not work out we can always return to cowboy capitalism” — that, is the biggest delusion. It’s irreversible folks! Look around you. Well, “ridiculously short” it wasn’t. Maybe just “crude, and focused on the simplest part”. Thanks Dan, glad to see you’re still fighting the good fight. It was actually some of your writing in the Red and Black back in the late 70s that led me to re-examine my (center-left at the time) views of the world carefully: “conventional wisdom” that I’d absorbed growing up, from teachers, popular culture, etc., and just took for granted. Were these ideas based on anything more solid than a “foundation of repetition”? Often not, but that wasn’t obvious to me at the time. Getting through to young folks today is a similar problem, though probably harder due to an entire generation of teachers who were themselves indoctrinated, and selected for their conformance. Your idea of using person-by-person anecdotes is a good one to start with. First-hand accounts of parents who are pained that they can’t feed their children really get the reader’s attention. 1. In the year you were born, Venezuela was the first or second most prosperous country in South America. Really. 2. In Venezuela today, the shelves are empty. People wait in line for hours to buy food, only to find that it’s run out again. Parents are ashamed that they can’t feed their children. Mothers can’t produce milk for their babies, because they themselves can’t find enough to eat. There are shortages of just about every desirable product in Venezuela — even toilet paper. 4. The government decided that it should set the prices of many goods and services, particularly food. They set those prices so low that the people who are in position to produce them don’t bother to anymore. They need to feed their families too, so they looked for other work that still paid them for their time. 5. Can’t the government just raise the prices to the right level now, and solve this? 6. Perhaps. 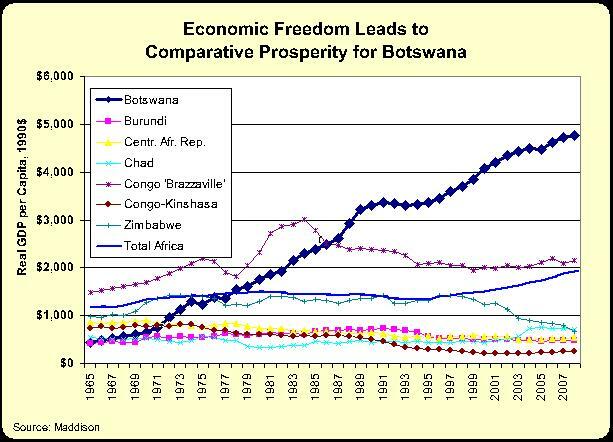 We should ask, though, why the government got the prices wrong the first time, and why they stuck with those for years despite the signs of econoomic decline. 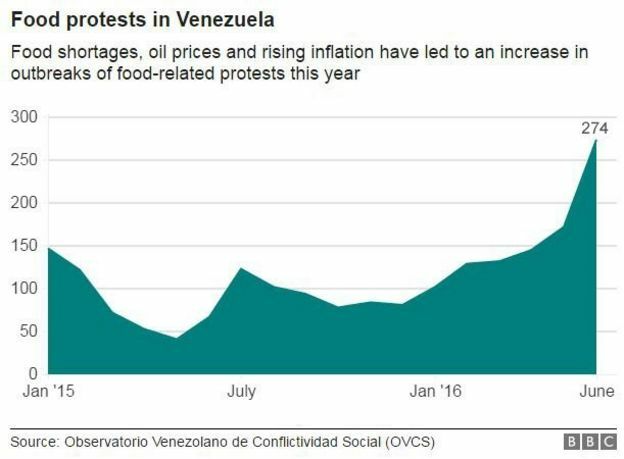 (Venezuela didn’t start running out of food just yesterday.) Is there really any reason that we should expect a well-dressed office worker, sitting in an air-conditioned building in Caracas, to know more about the production of rice or beans than a farmer who actually grows them? Or to know more about the value of those things than a mother who wants to feed her children? Aren’t the people who actually want to produce or buy those things the real experts on cost and value? Why not leave this critical work to the real experts? 7. “Effective tomorrow, all laws and regulations setting a specific price for goods and services exchanged between private individuals and companies are null and void.” That would be a good start. Of course, freeing up prices to do their jobs is just Stage 1. There’s plenty more, like rolling back counterproductive regulations, demobilizing armies of bureaucrats to find productive work in the real economy, and so on. But we can pack only so much into Stage 1. We’ve seen this scores or hundreds of times, but young folks haven’t. And pray tell which circle we are now in. 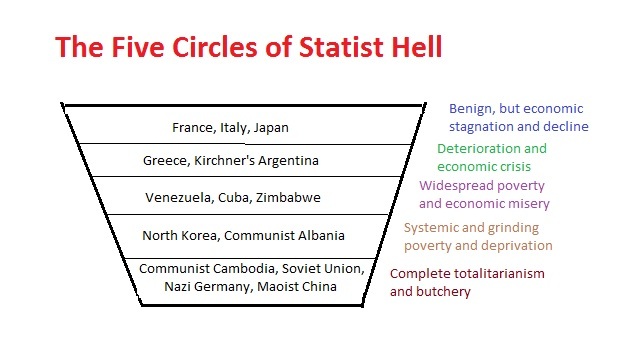 There’s always a lower circle of statist hell, always. This is the progressive paradise that the Democrats in this country are working hard to bring here. Upon first hearing about the new slave labor plan in Venezuela, I wondered if the ‘Killing Fields’ could be far behind. Citizen Joe, in his capacity as CEO of Citizens’s Energy, which had gotten cheapo heating oil from Venezuela, gets a salary of 560.2 thousand a year . Citizen Joe is talking about himself. of course it was all done in the name of the revolution…….. and not the book advance…. The death spiral of liberal/progressive/socialist begins when a person decides that they love lies better than they love truth. They all start by telling themselves lies. They find common cause in lies they all prefer. When the lies become official policy, massive tyranny follows like night follows day. Don’t forget that the late Hugo Chavez’s daughter is one of the richest people in the world. Bernie Bro’s everywhere should issue an apology to Venezuelin’s for supporting this. …and then their dream came true and the people finally took collective control of the economy. Yes, they could! Now the economy works for them, instead of profit. Thanks for this blog post regarding Venezuela (I wrote a post about it just now! ); I really enjoyed it and am definitely recommending this blog to my friends and family. I’m a 16 year old with a blog on finance and economics at shreysfinanceblog.com, and would really appreciate it if you could read and comment on some of my articles, and perhaps follow, reblog and share some of my posts on social media. Thanks again for this fantastic post.